Ensconced on a 1.1 acre parcel on one of the most desired and elite roads in lower Bel Air sits this one-of-a-kind, 36,000 square foot dream home. 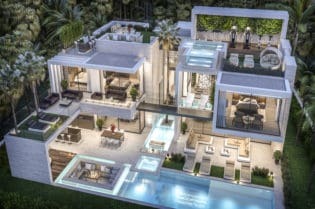 Bel Air homes are known for their opulence and luxury and this mega mansion certainly lives up to the reputation. 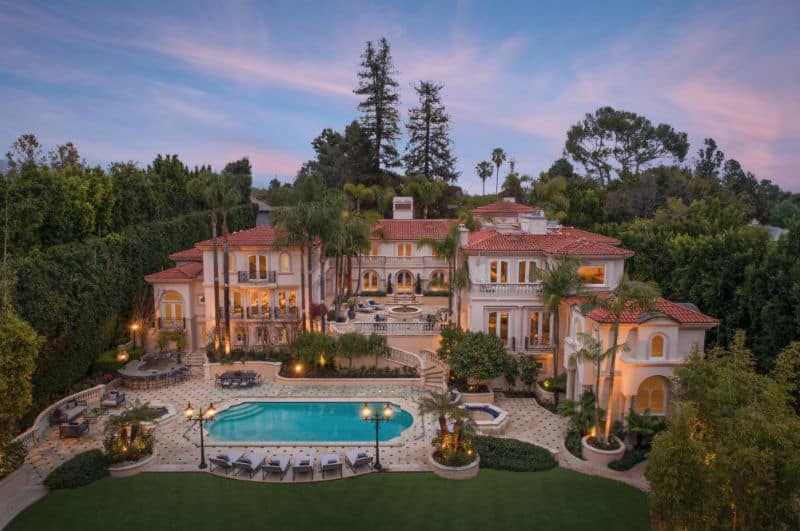 Built in the Mediterranean style, this impressive mansion boasts 8 bedrooms and 20 full baths. 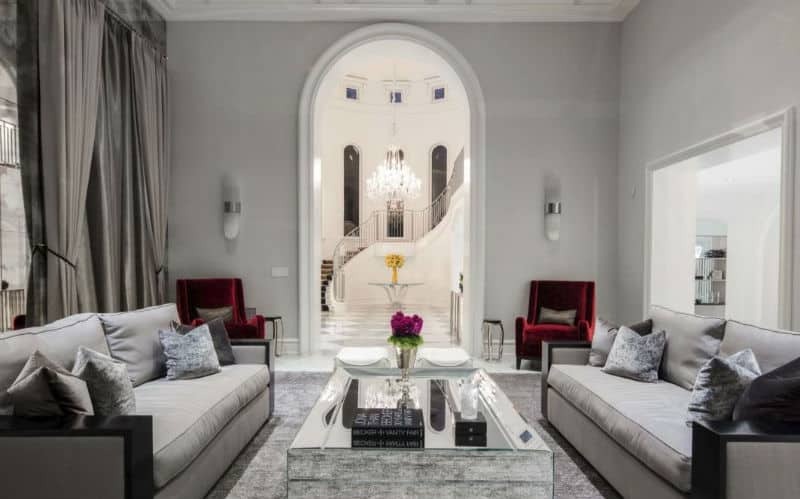 This luxury home is welcoming from the moment you step through the elegant glass double doors. Upon entering, guests are met with a wealth of windows allowing the sunlight to bounce throughout the two-story foyer. 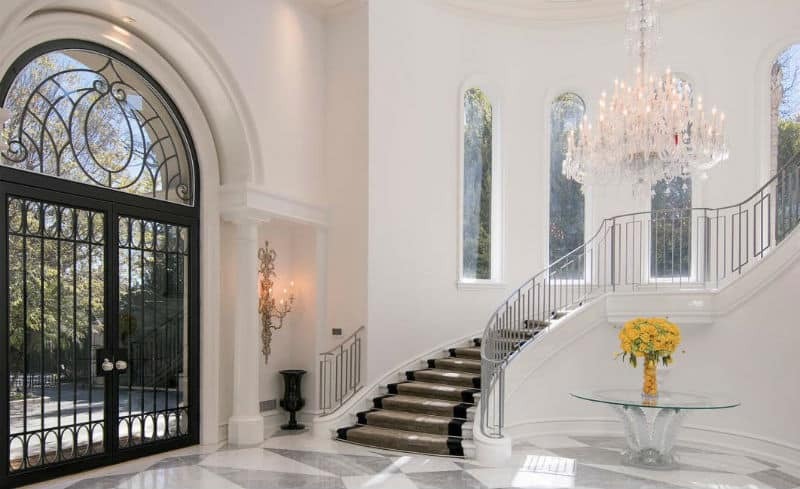 An impressive staircase sweeps the eyes upward toward the stunning crystal chandelier. This home also boasts a grand bifurcated staircase highlighted with ornate metal handrails and balusters. 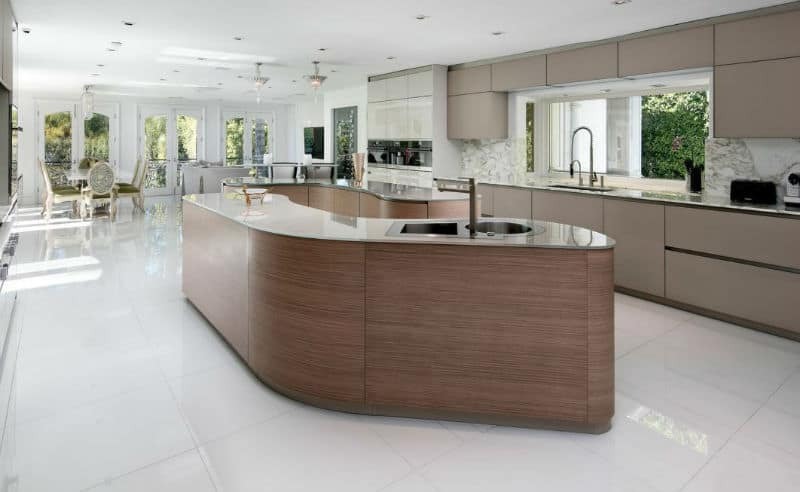 A well-appointed modern kitchen with generous dual islands declares that this home is ready to entertain. Yet the peaceful master suite provides a retreat from the action with a private terrace and fireplace. The focal point of the bright ensuite is an oversized soaking tub surrounded by windows to bring the outdoors in. 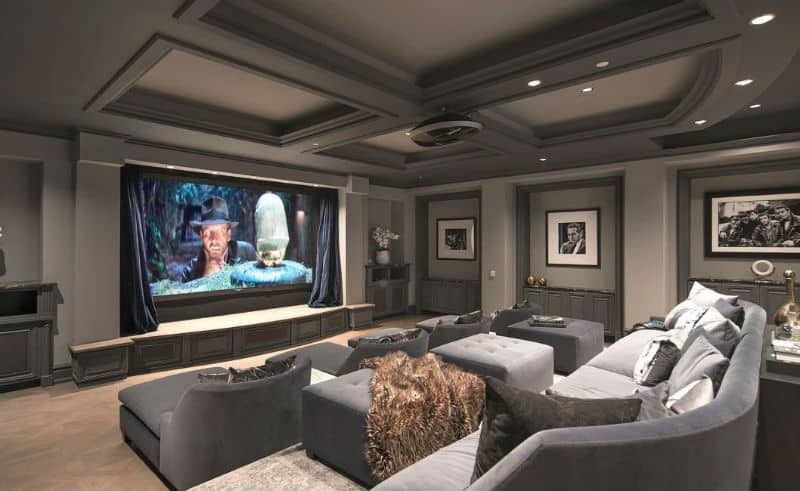 When it comes to entertaining space, this house is designed to amaze. 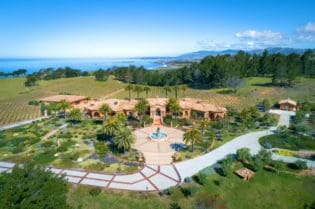 The 20,000 square foot lower level has nearly every amenity one could ask for. Numerous game rooms, dual bowling alleys, a plush cinema room, a basketball court, a racquetball court and a full bar are sure to keep the owners and guests happily engaged. When it’s time to relax, the extravagant full resort spa, indoor pool, massage room, sauna, and steam bath are ready to pamper. And for friends and family looking to extend their visit, guest quarters are also privately tucked into the space. The exquisite landscaping of this luxury Bel Air home isolates this home from the road and neighbors, assuring it as a private paradise. 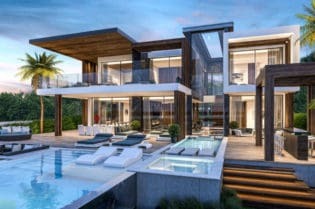 The grounds feature a swimming pool, spa, outdoor kitchen, and dining area, proving even further that this winsome home is fantastically equipped for entertaining. 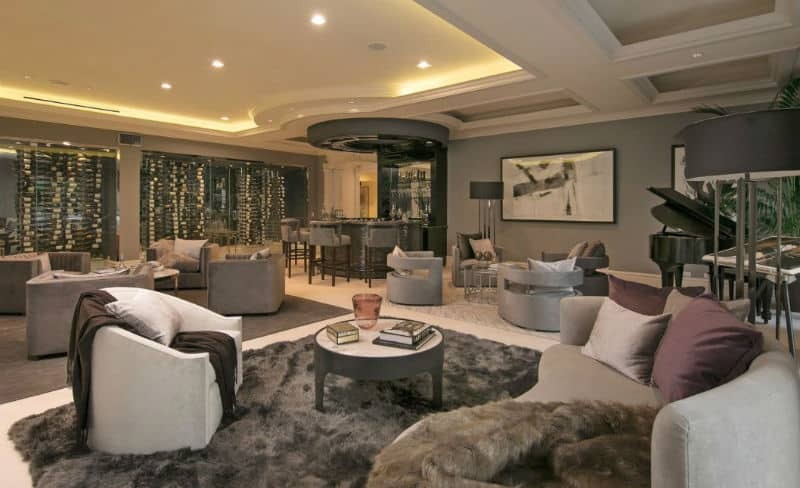 No luxurious detail has been overlooked in this magnificent dream home. From coffered ceilings, marble accenting, Ionic columns, and mosaic tile work, it is easy to see the care and intent of the design. Whether you are the consummate entertainer or someone who enjoys indulgent solitude, this Bel Air home beckons to be considered. 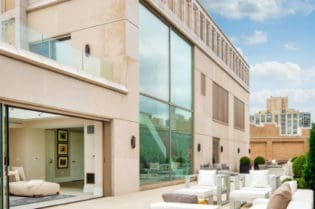 Property is listed with Joyce Rey of Coldwell Banker – Beverly Hills South and has an asking price of $49,900,000.